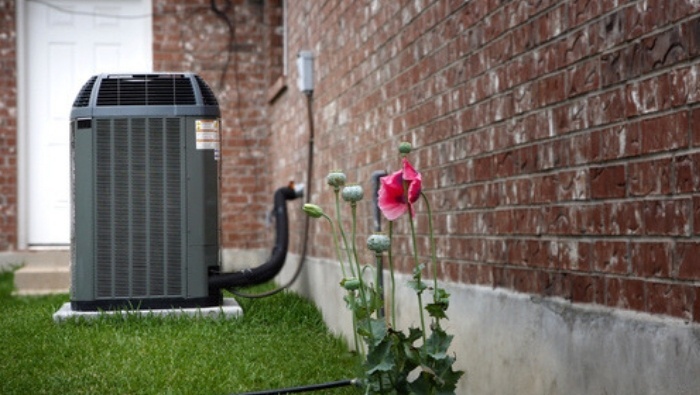 Contractors are eager to come out and perform an annual check on your air conditioner. Common are the ads offering to do a “tune-up” for a nominal fee while many try to lure you into an annual service contract. Sadly, millions of people fall for these because they are led to believe that an A/C system is like a car in that it requires periodic routine maintenance or service. They really do not! Before getting into how easily you can do a quick check yourself, let’s discuss a few facts about an A/C most contractors don’t want you to know. They don’t have spark plugs to change or a dipstick to check the oil. In fact, there really are no serviceable parts in them. Properly installed, they either work or they don’t! They are a sealed system. If there are no leaks and they are properly charged at one time or another, you should never need refrigerant again unless something blows out! Unfortunately, a government study revealed that approximately two-thirds of all A/C systems are not properly charged to begin with. That’s because the technician didn’t utilize what is called the superheat or subcooling method, but explaining that is best left to another article. OK, so what do they do in this “tune-up” or annual inspection that you’re going to pay adequately for? Well, if they do anything productive at all, they will look at the big radiator looking thing to see if you’ve blown grass clippings into it while mowing or weed-eating. If so, they’ll clear those out but you probably could have done that yourself with a garden hose. Next, they’ll measure a part in there called a start capacitor. More than likely, they will tell you it’s getting weak and needs to be replaced. If you go for it, bend over slightly as I’ve heard of some pretty hefty prices for that relatively inexpensive part. The truth is that they are a very low tolerance part to begin with and can come out of the factory measuring 10% above or below what is stated on the part. If it does happen to fail, either the compressor won’t start or the fan on top won’t run. You can pretty much diagnose a capacitor yourself. If the fan stops, stick a twig or small wire through the grooves and see if the fan rotates freely. A rotating fan means the problem is likely a failed capacitor. If the fan is running but you have no cooling, reach down and grab the larger copper line. If it does not feel very cool to cold, the compressor is not running. Again, the problem is probably the capacitor. Having said this though, it is possible for the compressor or fan motor to go out, but it is not nearly as common as a failed capacitor. Related: How Much Will It Cost to Cool Your Home? Now that we’ve gotten through all that, the pros will almost always throw a set of gauges on the outside unit. This is a necessary step to check the charge, but if the technician does not take temperature and humidity measurements inside your home or office, they are not doing it properly. You must know the heat load and correlate that with the gauge pressures to determine if the system is properly charged! Now we’re down to the easy part. First, check your filter and change it if it’s dirty. Then turn the system on and set the thermostat low, so it will run a while. After about ten minutes, take a thermometer, even one like you stick in a turkey, and stick it in the return air grill for a few minutes. Log that temperature and then stick the thermometer in one of your floor or ceiling outlet vents. When the thermometer stabilizes, subtract that temperature from what you read at the return air grill. If you get a 15 to 20 degree difference, your system is running about as efficient as it can! Performing your own annual air conditioner inspection is a simple DIY job that most people can easily do. Try it yourself, and save your hard-earned cash for the maintenance and repairs you can’t do. While you are inspecting the A/C, consider installing a programmable thermostat. Another annual check up that can save you money? Compare home insurance rates. Save money on home repairs and utilities with these preventive home maintenance tasks and these 32 ways to save on utility bills.